Commencing at a point 24 feet East of the NW corner of Lot 4, Block 18, Plat A, Hurricane Town Survey; East 66 feet; South 100 feet; W 66 feet; N 100 feet to beginning. Also, commencing at a point 24 feet East of the NW corner of Lot 4 of said block, S 100 feet; W 24 feet; N 100 feet; E 24 feet to place of beginning. Constructed in 1938-40 the Hurricane Library/City Hall is a one-story sandstone building with a raised basement. It has a concrete foundation, a hipped roof, and large, multi-pane metal sash windows. There are no architectural features that reflect a particular architectural style. The symmetrical facade has a central door flanked by a pair of large windows. Directly below that doorway and underneath the concrete porch is a basement level door. The interior has been modified only slightly over the years. Exterior alterations include three roof-mounted swamp coolers and a recent concrete handicap access ramp, which extends along the east side and wraps around to the front of the building. These alterations do not substantially affect the historic integrity of the building. Built in 1938-40, the Hurricane Library/City Hall is significant because it helps document the impact of New Deal Programs in Utah, which was one of the states that the Great Depression of the 1930s most severely affected. In 1933 Utah had an unemployment rate of 36 percent, the fourth highest in the country, and for the period 1932-40 Utah's unemployment rate averaged 25 percent. Because the depression hit Utah so hard, Federal programs were extensive in the state. Overall, per capita Federal spending in Utah during the 1930s was ninth among the forty-eight states, and the percentage of workers on Federal work projects was far above the national average. Building programs were of great importance. During the 1930s virtually every public building constructed in Utah was built under Federal programs. Almost without exception none of the buildings would have been constructed when they were without the assistance of the Federal Government. 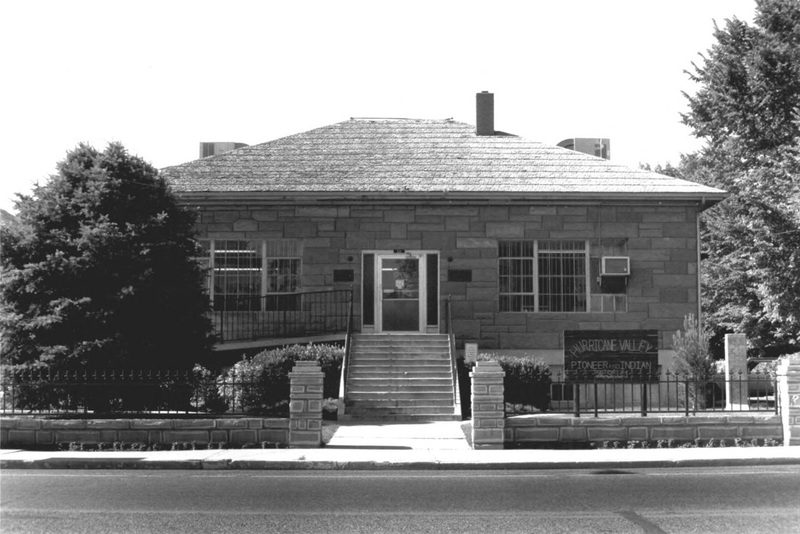 This building was one of 232 buildings constructed in Utah during the 1930s and early 1940s under the Works Progress Administration (WPA) and other New Deal programs. Just over half of those buildings meet National Register eligibility requirements outlined in the thematic nomination of Public Works Buildings in Utah. The Hurricane Library/City Hall is one of ten public works buildings constructed in Washington County, of which six remain. The only other public works building in Hurricane is the high school, which was listed in the National Register in 1986. The town of Hurricane was settled much later than neighboring towns in southwestern Utah, which were founded in the 1860s and '70s. Hurricane was established soon after the Hurricane Canal was completed in 1904. The canal opened the Hurricane Bench for agriculture and prompted the formation of the town. Stockholders in the canal company drew lots for both townsite lots and twenty-acre farm sites south of town. Schools, churches, and commercial buildings followed. The town grew quickly at first, attracting a population of 500 by 1912. By the late 1920s there were over 1200 people living in the town. Civic improvements came slowly. Electricity was brought to the town in 1917, a water system was installed in 1918, and a small sewer system was added in 1930 and expanded in 1946. A library was established in 1934 and was housed "in a medium sized room between the post office and the Sandberg mercantile" until the new building was completed. The WPA-sponsored city hall and library was the first civic building constructed in the town. 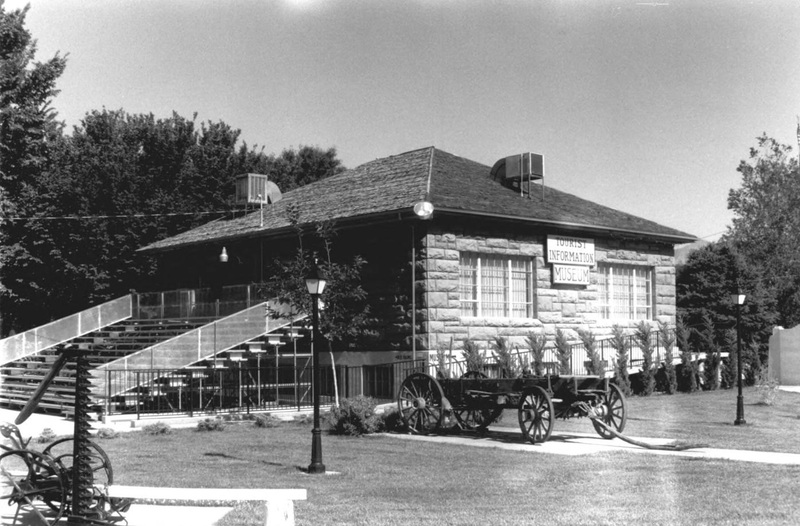 It continued to serve the city's needs until the late 1980s. It now houses a museum. Plans for the new building have been under construction for some years, but did not reach reality until the city was authorized to furnish a WPA project for local laborers. Ambitious Hurricane citizens advocated the building of the library and city offices. As a result of further investigation, J.W. Imlay surveyed the building site December 6, 1938, and on December 8, 1938, the men began excavating the basement. The cost of the building was approximately $22,000. As the structure was built chiefly of rock hewn by the workers themselves from the banks of Berry Springs, a few miles west of Hurricane, the material cost was greatly reduced and the city was obligated to pay only $7,000. The building was a WPA project, and Harvey J. Dalton acted as overseer for the entire construction, while Leo A. Snow of St. George was the architect. The Library department in the building consists of a large, general reading room where the book borrowers select and sign out their books. A smaller room opening off the general reading room has been designated as a children's room. Plans are now being made for moving the children's books there, and having a story hour. The general reading room is furnished with five long tables, 24 chairs, three shelf compartments, each sectioned with shelves, a desk and other small necessities. The library is well lighted and ventilated with heat being furnished by a large oil-burning furnace. Also located in the building are the city offices, rest rooms, the district nurse's office, store rooms, closets, and a large recreation hall to be used for banquets and additional library space when the need arises. Construction of the building was very much a local effort. Harvey Dalton, a local contractor, supervised the project. Leo A. Snow, the county surveyor, is credited with the design of the building. Approximately twenty local men worked on the project throughout its construction. Only two of them were skilled carpenters, Joseph Martinson of Ivins and George Campbell. Local men cut logs on nearby Cedar Mountain to use for lumber on the building, and, as mentioned above, rock was hewn from a local quarry for the exterior walls. The Hurricane Library - City Hall was listed on the National Register of Historic Places (#1991001444) on September 26, 1991. This building is currently used for the Hurricane Pioneer Museum. The library was replaced with the new Washington County Library - Hurricane Branch. The Hurricane City Offices have moved to a new facility at 147 North 870 West.